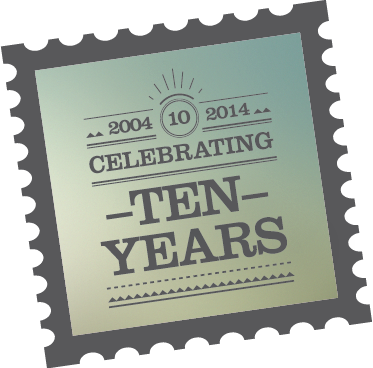 Today we celebrate OfficeList’s 10th year anniversary. Thank you to our team and to all our clients! It’s been an amazing journey so far and today we celebrate our accomplishments and the tremendous potential of the next 10 years to come. During this time we have made new friends, our families have grown and and are proud of the value we provide day to day to thousands of small business and entrepreneurs and our workplace-as-a-service partners throughout the USA and Canada. As a company we have changed in many ways. We’ve grown, developed awesome technology, expanded past our home borders into Canada and became leaders in a competitive industry that is very close to our hearts. It is also important to note what has not changed. Namely our commitment to providing real tangible value for our clients, to provide exceptional service and to live by our core values of excellence, integrity and focus on our partners. Looking ahead, we are focused on accelerating the execution of our growth strategy while continuing to build on the strength of our team and our experience. Thank you and here’s to another 10! 1- Jorge, what was the most difficult situation you had to face to start the company? When you are starting a company you want it to be up and running in as little time as possible. Dealing with delays and things that take longer than you anticipated is difficult to manage. We did face a lot of challenges in the process but I would not label them as “difficult”, they were just hurdles we needed to jump over. 2- Uddy, if there was one thing you could have done different, what would that be? I would’ve launched Canada from the beginning. We started with the US and entered the Canadian market a few years ago. It proved a great opportunity for expansion. But really, no regrets! 3- Uddy, what do you not like about being an entrepreneur? I find that developing the idea and launching a project is the most exciting part of being an entrepreneur. Once you become established, you tend to become an employee of your own company. I need to keep on my feet innovating and coming up with new challenges, projects and ideas. If not, the whole purpose of being in business for yourself can get blurry. I’m passionate about it so am always looking at where we can take the company and other ventures to explore. 4- Jorge, what has been the greatest and the most difficult situation of the OfficeList experience? It’s hard to pin point the greatest experience but I would have to say the feeling I had when we got our first lead to sign an office space. It was at that precise moment that I realized that we were on to something and that we were actually offering a really good value proposition. Before that moment everything seemed “artificial”. The most difficult situation is without a doubt when things are not going so well (and in a 10 year company that is bound to happen a few times) and you have to be really creative to kick back and bounce to an even higher level than you were before. It can get very stressful. Getting your partner to do exactly what you want without him even knowing it… Hmm, I guess the cat is out the bag now… Kidding aside I would say that I have been very fortunate to partner with Uddy since we complement each other nicely and have not had any major incidents in all these years. 6-Uddy, If you had the chance to go back in time, would you create OfficeList? Definitely. OfficeList has been our baby and we’ve nurtured it into a leader in its field. The people, families and companies that have been touched by OfficeList make us proud. 7- Uddy, Where do you see the company in 5 yrs, 10 yrs? We are working on new lines of business related to our core and international expansion is a logical next step. Our industry is evolving and we need to evolve with it. Internet and technology is more and more entrenched in our day to day and we are well positioned to take advantage of the opportunities a dynamic business environment can present. 8- Jorge, where do you think you would be or working on, if OfficeList hadn't come along? At a different company I would have started as well! The first job I had when I graduated from University was at an investment banking firm. It took me 15 days to realize that what I really wanted was to start my own company and that is exactly what I did. OfficeList came along a few years later but making that first move was crucial to developing the skills required to be a successful entrepreneur. 9-Uddy, what has been the greatest and the most difficult situation of the OfficeList experience? One of the greatest things that OfficeList has brought us is the quality of people we have met. Over the years employees and clients have become friends. You can’t put a price tag on that. Over our ten year history, we’ve had some rough patches where we may have lost focus and had some rough times. Its frustrating to be down when you know the potential your company and your team has. Fortunately we’ve dusted off and emerged stronger each time. 10- Jorge, what was the biggest fear of deciding to be an entrepreneur? The fear of failure. If any entrepreneur tells you different I would bet OfficeList they are lying. No matter how much confidence you have in yourself there is always something in the back of your mind measuring the risk and evaluating the cost of failure. And that is quite alright. Using that fear to keep your expectations real is key and you can use it as a motivator as well. Jorge: I recently read a piece of counter intuitive advice which rang very true to me… You are usually told to follow your dream and do what you really enjoy in life. That sounds great but it does not guarantee success and happiness. Your dream will most of the times be unachievable and the frustration you will accumulate will be very hard to handle. Instead, you should pursue what you are really good at (chances are you enjoy doing that too because you are good at it!). This approach will be much more effective in getting you closer to your goals and overall happiness in life. Ignoring the “one piece” of the question, I would say my second piece of advice would be to find a great partner who shares your vision and is willing to make it true. Doing it alone is half the fun. Uddy: You don’t need to raise a bunch of money and quit your job to follow your dream of being an entrepreneur. I started OfficeList while running a Business Center and my partner was designing websites. A side project became what OfficeList is today. If you want to be an entrepreneur, you’ll know it and you’ll make it happen. Lack of time or money, of the security of a job, should not dissuade you to follow your heart.